Albero di Maestra is a functional yet decorative object. 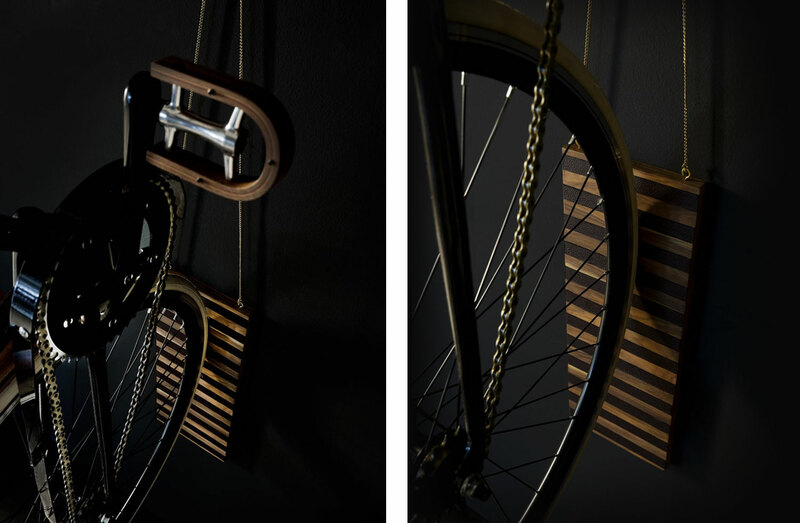 This wood vertical bike rack is the perfect solution to display your bicycle while storing it indoors. It is a design object made out of solid wood for you to install anywhere you want: in a hallway, a large corridor and even in the living room. 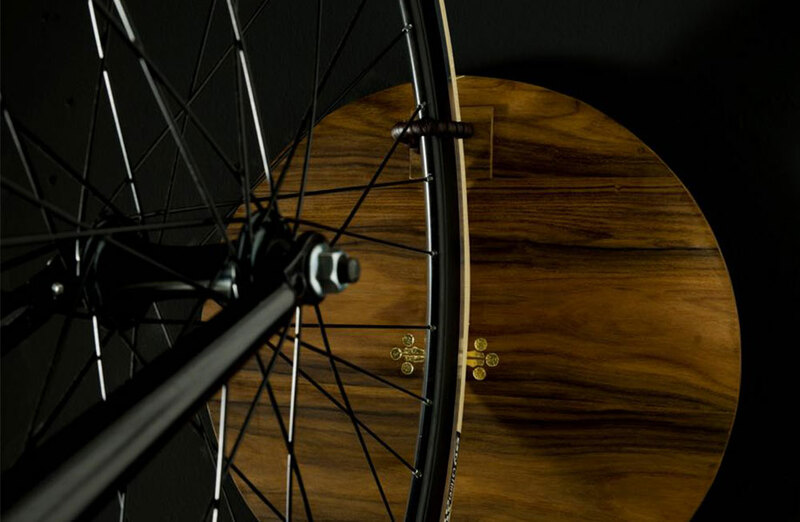 Its refined design allows to place it indoor as it works fine with or without the bike. 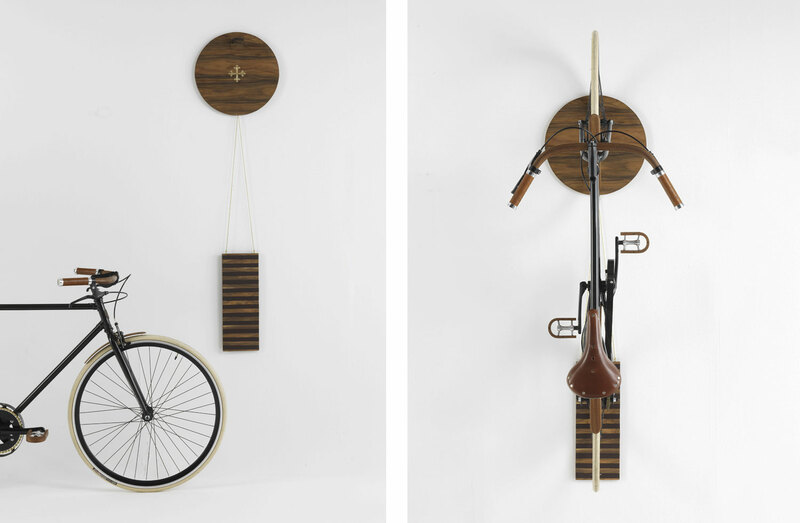 Albero di Maestra is not a simple garage accessory, this handy wall mounted bike stand has been designed to make your faithful bicycle an essential part of your house decoration. 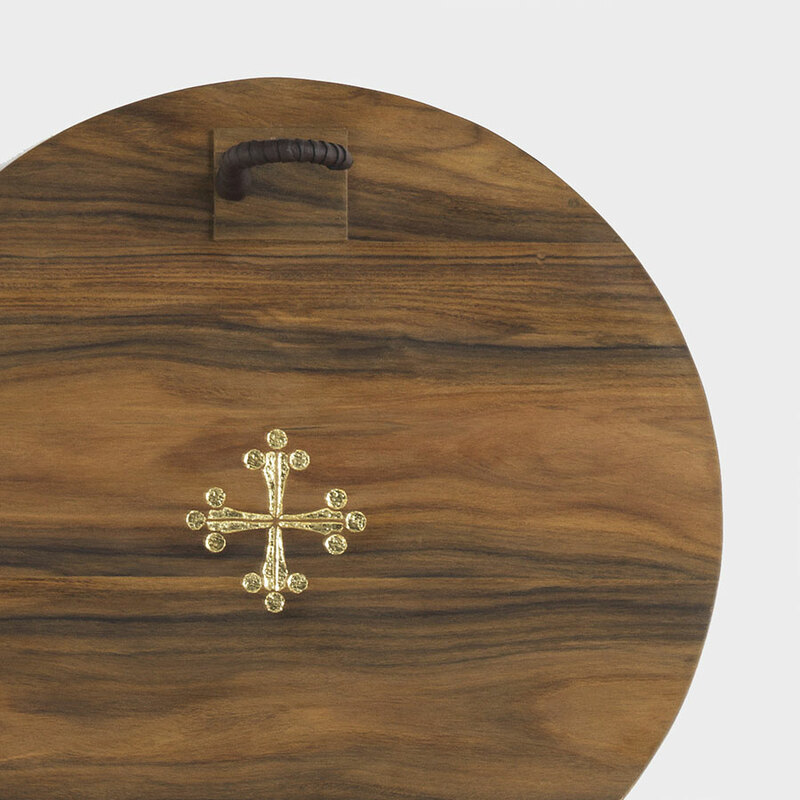 We intended to create an accent piece of furniture in exquisite solid wood with leather inserts, designed to offer practicality while satisfying the needs of those who do not want to give up on aesthetics and elegance. We have imagined a downtown loft apartment, a coastal pied-à-terre, a cabin in the Alps. Large or small interiors to decorate through unique furniture pieces and accessories, settings where the lack of space can’t be a boundary to good design. 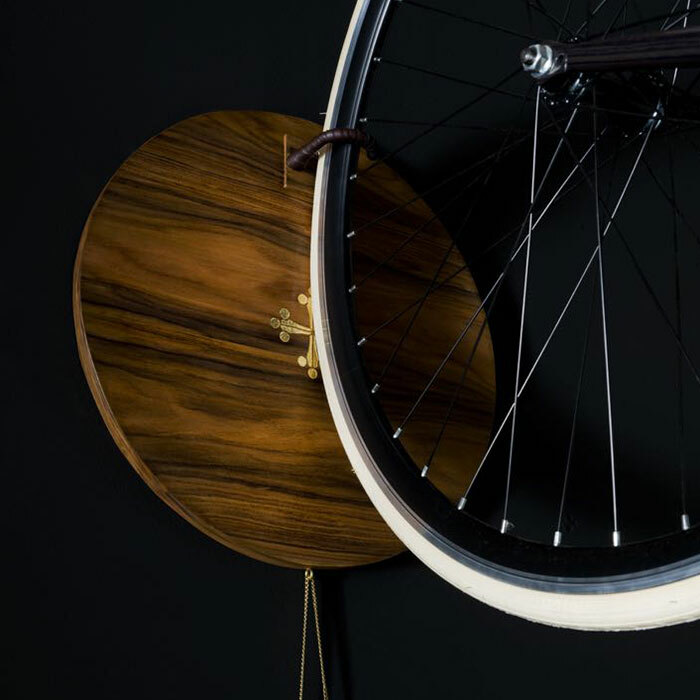 Born for Amerigo Milano’s collection of bespoke bikes, Albero di Maestra can store most bicycle sizes: city bikes, mountain bikes, gents and ladies models alike. 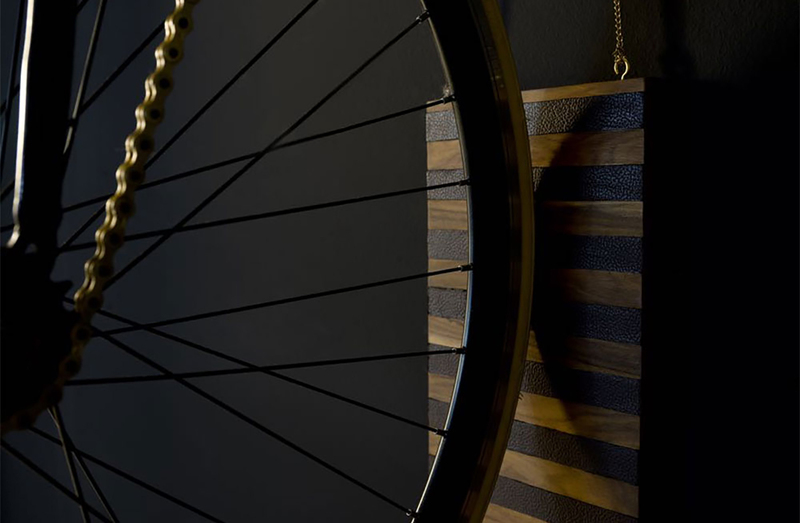 Bike storage goes chic. The simple action of hanging your two-wheeler converts the accessory into a sculptural piece of furniture you want to show off. Beautiful with, and without, the bicycle on it. Exquisite solid wood with leather inserts, metal hook and a golden Amerigo Milano’s logo. A simple vertical bike rack becomes a signature piece for a unique house.